Red Right Returning. Original painting in acrylic on canvas, 24 x 32 inches, $600.00 plus tax, shipping, and handling. Madrona trees with their sensuous red bark lean over the bluff at Fort Worden State Park in Port Townsend, WA. 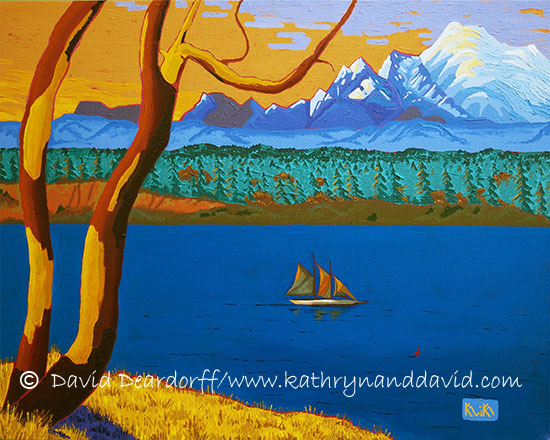 A large sailboat on its way back to port at sunset passes in front of Mount Baker in the Strait of Juan de Fuca.